Even though it is not officially winter here in the United States, I think it's safe to say many of us have winter on the brain. The best part about winter is the snow (besides Christmas!) and like Wanda yesterday, I've got snow on the brain even though we've only had one snow day here. You know the kids are praying for a blizzard just to miss school! 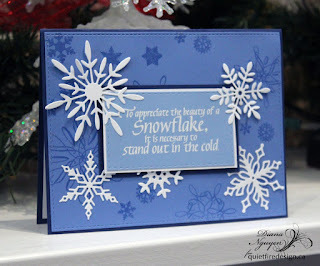 Suzanne has this new snowflake stamp set To Appreciate the Beauty of a Snowflake that I finally had a chance to ink up. 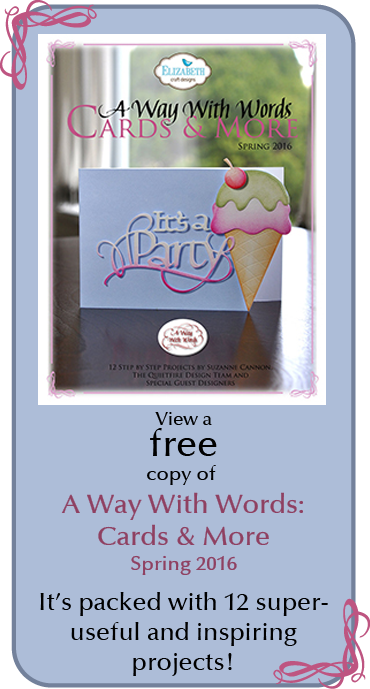 I went with a monochromatic card (because sometimes choosing coordinating colors are just too hard on my brain!) 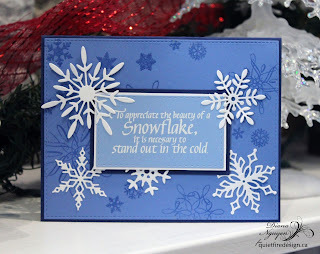 and I love it that I could layer both stamps and dies without it being overwhelming. 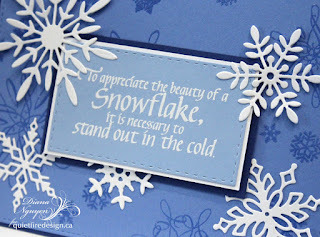 My base layer uses the snowflakes from the same stamp set and then single snowflakes stamps from Let It Snow Flourished Snowflakes that were clear embossed. 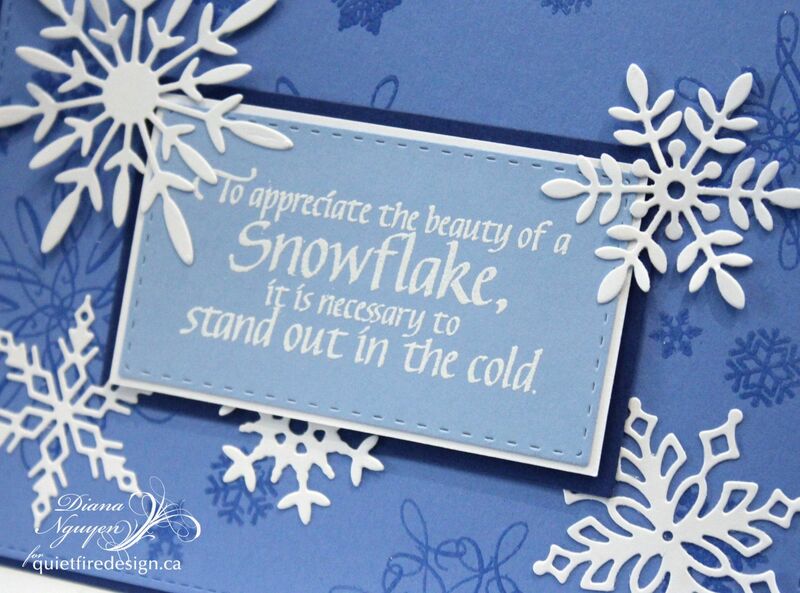 I then white embossed the quote on a lighter blue cardstock. 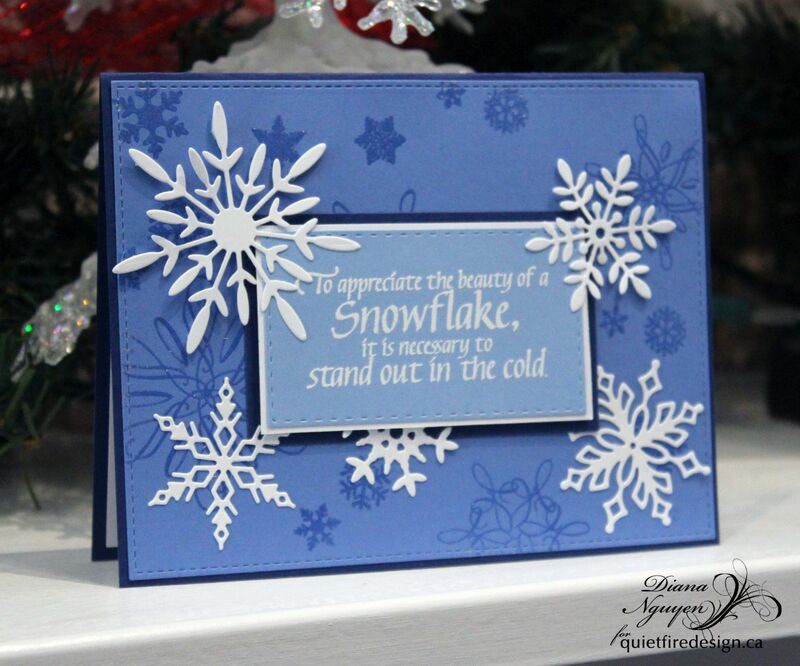 The popped up and double matted quote was then surrounded by snowflake dies from Love Nicole. Full disclosure though - I think I can fully appreciate the beauty of a snow from inside with a cup of hot coffee in my hand just fine.